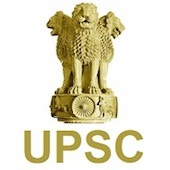 Online Application Details for Union Public Service Commission UPSC Recruitment of 2 Accounts Officer is given below. Application form and duly attested documents are to be sent to Sh. Suresh Kumar Nayak, Under Secretary (Admn. ), Room No. 216 AB, Union Public Service Commission, Dholpur House, Shahjahan Road, New Delhi-110069. In envelope super scribed with 'Application for the Post of Post Name'.